Pre workout meal may be defined as a meal which is taken 1 to 3 hours before any kind of workout. It is rich in protein and carbohydrates with a low glycemic index. It is usually a small meal that works best if taken 2 to 3 hours before a workout. 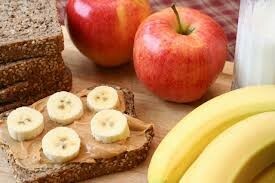 You need a significant amount of energy before starting the workout. It is better to fill the energy tank of your body, especially before an intense workout. During intense exercise, muscle tissues are broken to get the energy to work out. If you have a proper Pre workout meal, it will prevent the breakdown of muscle tissues. Protein rich Pre works out meal improves the growth of muscle tissues and repairs damaged muscle tissues. Pre workout meal should be low in fat as it takes long for fat to digest. Pre workout foods should be rich in protein. You can derive protein from dairy products like milk and yogurt. If you are a non-vegetarian you may have a moderate amount of meat and Egg. Include carbohydrate foods that are a low glycemic index. How much to eat for your Pre workout meal totally depends on the individual’s capacity to eat. If there had been a long gap to your last meal, it is better to have fruits or another small snack at least 30 minutes to 1 hour before your workout. It should be large and protein rich if you are working out to build muscles. But if you are on a fat loss program, your pre-workout meal should contain not more than 500 to 600 calories. 1. 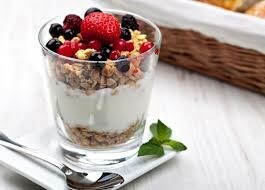 Yogurt parfait- Take a half cup of yogurt. Add 1 cup of the whole grain cereal to it. Now add Fresh strawberries to it. A yogurt parfait is ready to eat. 2. Banana and yogurt- Banana is rich in carbohydrates that are easily digestible. It is rich in potassium which is very important in maintaining the function of nerves and muscles. Banana accompanied with low-fat yogurt makes a complete pre-workout meal. 3. Oatmeal with whey protein or eggs- Oatmeal is a rich source of complex carbohydrate, dietary fiber, and vitamin B. Oatmeal, when taken with whey protein, makes a complete pre-workout meal. You can also have 1 to 2 eggs with a half bowl of oatmeal. 4. 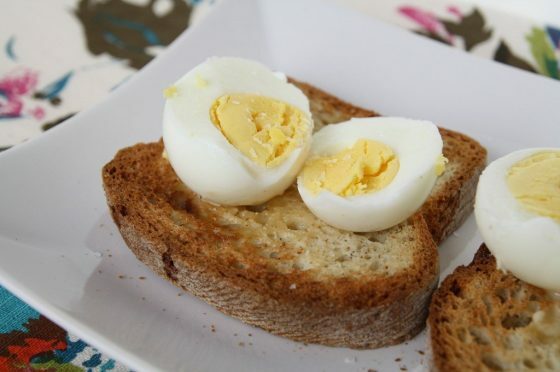 Egg and toast- Boil 1 or 2 eggs and have it along with 1 slice of toast. Make sure to have whole wheat toast. 5.Chicken and potato or sweet potato- sliced chicken about 2 to 4 ounce along with an equal quantity of potato or sweet potato make a complete pre-workout meal. If you don’t have a meal before the workout the blood sugar level reduces and you may feel tired and light-headedness whole day. Eating a pre-workout meal in right quantity fuels the body to workout harder.